Research and commentary on artificial intelligence, contributing to goal 9 on industry, innovation and infrastructure, with particular focus on the technology-related targets. In 2018, RELX Group hosted two SDG Inspiration Days to inspire scalable, collaborative action on the 17 SDGs, with particular emphasis on disruptive technology at Silicon Valley and on partnerships at Amsterdam. Watch videos of the speakers from the two days. 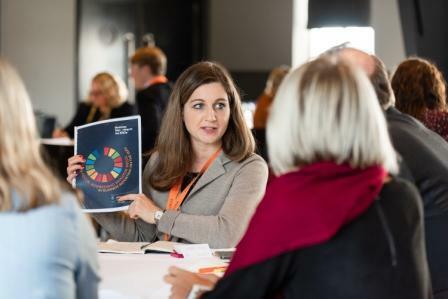 RELX Group held two SDG Inspiration Days to bring together business, government and civil society to scale collaboration and engagement on the SDGs. 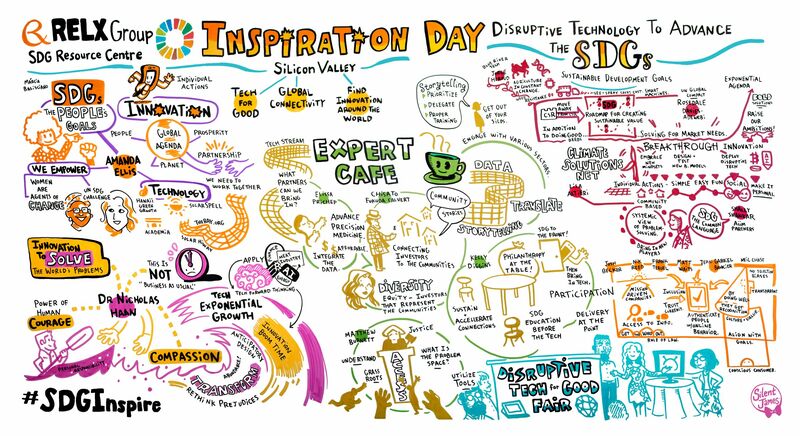 The first SDG Inspiration Day took place in San Jose, California and focused on disruptive technology to advance the goals. The second day took place in Amsterdam and focused on the power of partnerships to achieve the goals. Current Opinion in Green and Sustainable Chemistry, Volume 13, October 2018, Pages 137-139. Addressing goals 9 and 12, this article explores the sustainabiity commitments and key performance indictors (KPIs) implemented by Roquette, a global leader in plant-based ingredients. Current Opinion in Green and Sustainable Chemistry, Volume 13, October 2018, Pages 146-149. Advancing goals 9 and 12, this article argues that, if chemistry is to contribute effectively to achieving the SDGs, we need to change the way that things are done at both ends of the chemical supply chain. Current Opinion in Green and Sustainable Chemistry, Volume 13, October 2018, Pages 158-163. This article contributes to goals 2 and 9 by detailing the importance of crop protection chemicals and the role of green and sustainable chemistry in their development. UN sustainable development goals: How can sustainable/green chemistry contribute? Current Opinion in Green and Sustainable Chemistry, Volume 13, October 2018, Pages 154-157. To advance goals 9 and 12, this article reviews Chilean policies on sustainability, as well as academic efforts related to green chemistry.